What do I need to consider when choosing a desk lamp? Where should the desk lamp be positioned? LED or halogen – which bulb for your desk lamp? How bright should the desk lamp be? Which luminous colour should the desk lamp have? Which extra features are available with desk lamps? 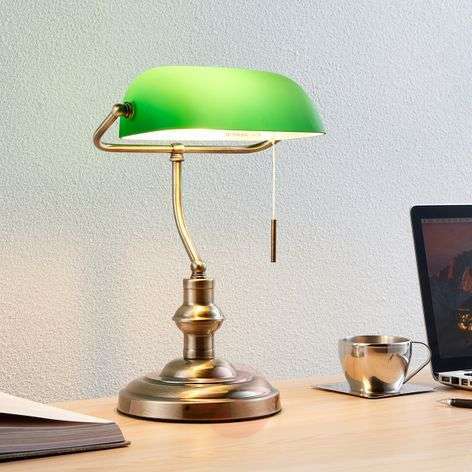 Why do you need a good desk lamp? The answer is quite simple: because you need more light when you work at a desk than your ceiling light can provide. When you work at your desk, your brain is working at full capacity. And your eyes are too. 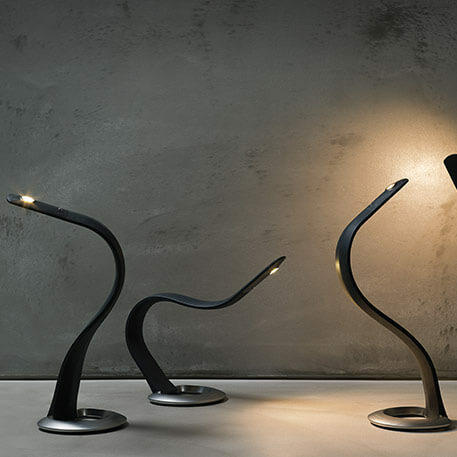 To help support your eyes, you need good localised lighting to supplement the general lighting – in other words, you need a desk lamp. 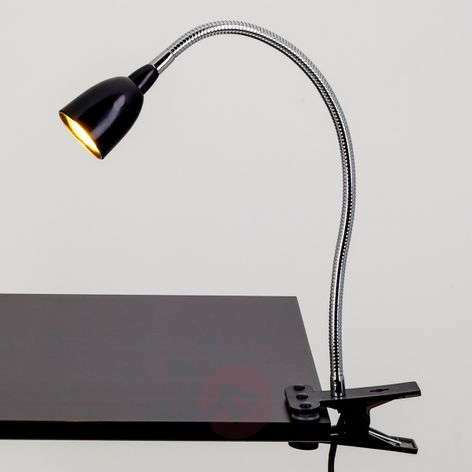 Desk lamps provide targeted, glare-free lighting and thus give you optimum support while you complete your desk work or so-called visual tasks. 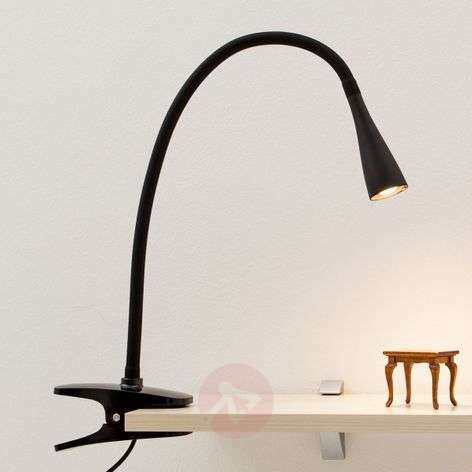 Text, images and objects are simply easier to see with a desk lamp. You relieve the strain on your eyes, so they don’t tire as quickly, and you will feel less discomfort. 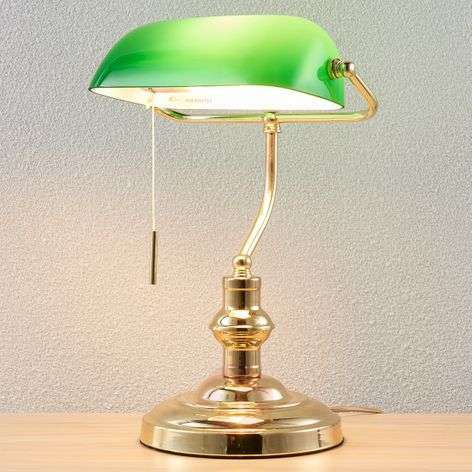 Desk lamps also help to prevent headaches. First things first: general lighting (e.g. ceiling lights) and localised lighting (desk lamps) make a great partnership. When working at your desk, don’t just use one or the other. Otherwise, you won’t have enough light and the contrast between dark and light will be too great. Think about the purpose of the light: is it for browsing the internet or for long hours of efficient working? Are you right- or left-handed? You may think this is a daft question, but the answer is important. 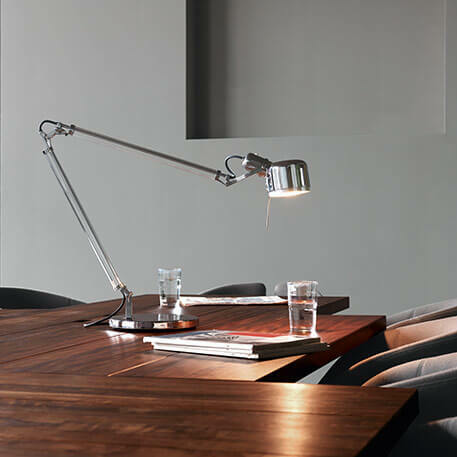 If you are a right-hander, your light should be positioned to the left of your desk. If you are left-handed, your light should be on the right. This helps to avoid shadows caused by your hand. If you have a computer on the table, the light should, obviously, not be positioned in front of the screen. This means that the desk lamp should be placed to the right or left of the screen, or even behind. Always make sure that the lamp head is pointed away from you so there is no glare. The light bulbs can be replaced on some desk lamps but not on all. If the bulbs cannot be replaced, it means the model features built-in LED bulbs. They offer numerous technical advantages, not least thanks to the compact nature of LED technology. Built-in LEDs can be integrated into very sleek designs. If the bulbs can be replaced, the energy label will state: “This light is suitable for the energy classes:”. You can find the socket information, e.g. E27 or E14, in the product details. You can then decide whether you would prefer a halogen bulb or an LED bulb. Each light with a standard socket, such as E14 or E27, can be fitted with an LED bulb. ...or opt for halogen and rely on technology that is now outdated? The choice is clear! A dim desk lamp with around 200 lumens is still better than no desk lamp. But, in order to be able to work efficiently for long periods, 400-500 lumens are recommended. Still too dark? Or too bright? Then choose a light with a dimmer. It means that you can easily adjust the brightness level as required (see the product details to find out if the light has a dimmer). Don’t forget: you need to make sure you have good general lighting in addition to your desk lighting. It will help you to avoid stark contrasts between dark and light parts of the room. Otherwise you will tire more quickly from the paperwork than you otherwise would. When it comes to the luminous colour of the desk lamp, we recommend choosing clear, bright light, such as cool white light. This is equivalent to 3,300 to 5,300 kelvins and has a plain and functional feel. If this light is not plain enough, you can choose daylight white light (over 5,300 kelvins). Or, you could decide to leave the paperwork for another day and choose to relax with warm white light (less than 3,300 kelvins). You can do all of this with a single desk lamp that allows you to adjust the luminous colour as desired. Find out whether the light offers this extra by checking the product details – or simply get in touch with our team of experts, who will be able to make recommendations. Simply call on +353 1 699 2138 or use our contact form. 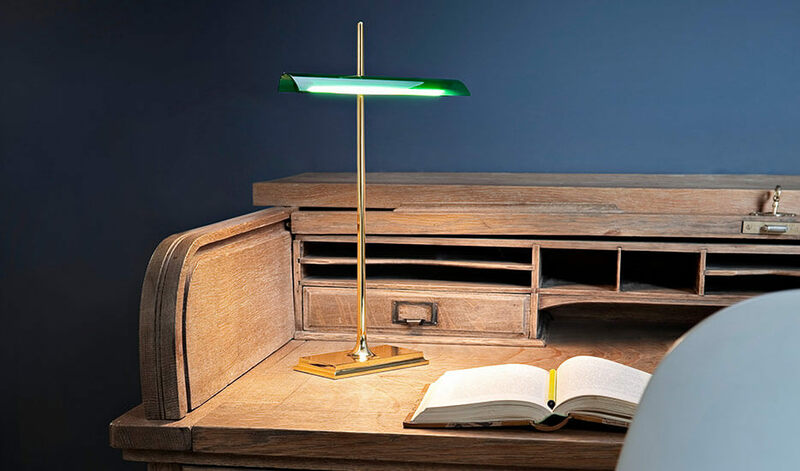 It is all well and good having sufficient light on your desk, but a few extra features can’t hurt. No problem. 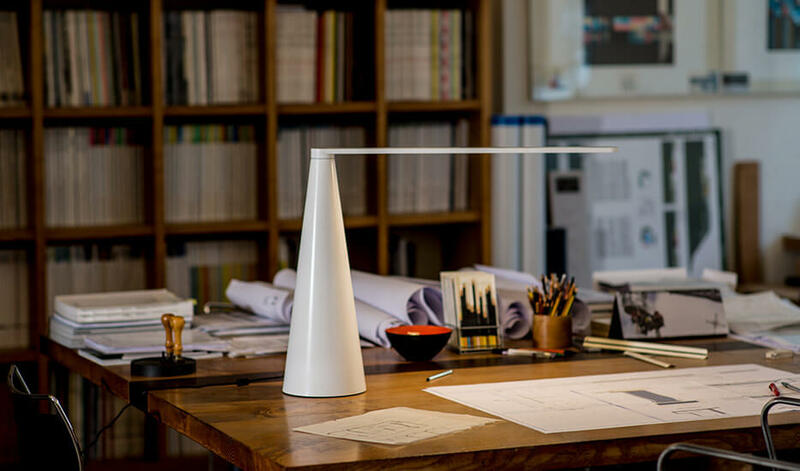 When it comes to desk lamps, there are plenty of extras to choose from. Take a look at the product details to see if your chosen light features the extras you want.